"Understanding the past is a source for innovation in our own time." In his acclaimed book, Ebony and Ivy, MIT Professor of History Craig Wilder documents the breadth of the economic, social and intellectual entanglements between America’s early universities and the Atlantic economy that was rooted in the slave trade. 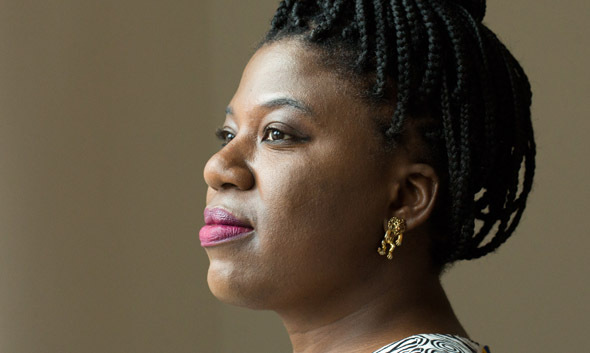 With research that illuminates historic episodes of racial and ethnic injustice, political scientist Melissa Nobles has developed a deep understanding of how different nations go about the process of self-examination and attempt to right the wrongs of the past. The MIT-Haiti Initiative led by MIT Professor of Linguistics Michel DeGraff is revolutionizing education in Haiti, and serving as a model for similar projects around the world. Catalyzed by DeGraff’s ground-breaking linguistics research into Kreyòl, the project has the support of a National Science Foundation Grant. "I believe that sustained patience for understanding the local in historical contexts is itself a tool of public policy, a way of seeing and talking about the world, and (if wielded correctly) an instrument of power and justice. One of the principal ways historians can contribute to problem-solving work at MIT and elsewhere is by helping to identify what the real problem is in the first place. When we can understand and articulate the roots and sources of a problem, we have a much better chance of solving it." Initial findings. The initial class findings include, among others: insights about the MIT's role in the post-Civil War era of Reconstruction; examples of racism in the culture of the early campus; and the fact that MIT’s founder, William Barton Rogers, owned six enslaved people in Virginia, before he moved to Massachusetts in 1853. Findings will be published in detail on the project website in Spring 2018. New lines of research.The findings also suggest new lines of research. In a focus on these areas, MIT seeks to contribute to the larger national conversation about the legacies of slavery, and to lead research on the relationship between the slave economies of the Atlantic world, the fields of science and engineering, and U.S. technical institutions. As part of this effort, Professor Wilder is organizing a consortium of U.S technical and science institutions to explore such research in collaboration. Community dialogue. 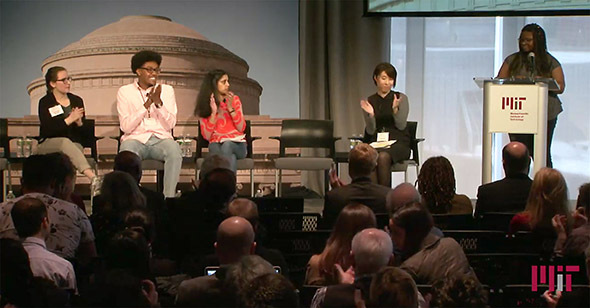 As the "MIT and Slavery" research class continues, MIT has also launched a Community Dialogue series "to explore together how to address these new dimensions of our past" and to tell a more complete version of MIT history. This project, MIT and the Legacy of Slavery, is led by Melissa Nobles, Dean of the School of Humanities, Arts, and Social Sciences. The first dialogue event, The Early Findings, was held Feburary 16, 2018, and the second, The Task of History, takes place on May 3, 2018. An interdisciplinary survey that draws on history, literature, anthropology, legal studies, media studies, performance, linguistics, and creative writing. Connects the experiences of African-Americans and of other American minorities, focusing on social, political, and cultural histories. The Minor Program in African and African Diaspora Studies is designed for students interested in the cultures, history, and experiences of the peoples of African descent on the continent, or elsewhere. The minor includes study of socio-economic and political systems and the histories, languages, and literatures. The concentration offers a variety of subjects on the history, culture and structure of societies of African descent throughout the world, with special emphasis on those of the United States and the Caribbean. The concentration epxlores the historical, humanistic, political, and social dimensions of ethnicity and race. Police shootings and the Black Lives Matter campaign are illuminating the differences that white Americans and Americans of color experience in their everyday lives. Melissa Nobles, Kenin Sahin Dean of MIT-SHASS and Professor of Political Science, joins Yale Professor of Law Tracey Meares at the MIT Communication Forum to discuss the historical and structural forces at work. Moderated by Seth Mnookin, Associate Professor and co-director, MIT Graduate Program in Science Writing. Three philosophy graduate students in MIT’s School of Humanities, Arts, and Social Sciences have rolled up their sleeves to tackle the need for more diversity in philosophy programs. “What I tell my students is that you here at MIT have access to great knowledge—more knowledge than 99.9 percent of people who have ever been on planet Earth, and I think you have some sort of moral duty to learn how to communicate that. Knowledge is power; power shouldn’t be hoarded." Literary scholar Alexandre examines the relationship black Americans have with material possessions — the subject of a new book she is writing. Alexandre’s first book, The Properties of Violence, explores the territorial aspects of violence — including its capacity to uproot blacks and dispossess them of property, while also denying them access to particular places. Melissa Nobles, Professor of Poltiical Science, and Dean of MIT-SHASS, researches historical injustices in democracies. In this interview, she reflects on what her research suggests about the current efforts to advance civil rights in America. As America’s decennial headcount gets under way, MIT political scientist Melissa Nobles discusses the history of race and ethnicity in the U.S. Census. "Every few months for twelve years, I have visited a Massachusetts prison to teach creative writing to a group of locked-up men.... It is not my job to unravel the skein of their guilt, to judge or absolve. I am here as a witness. I am here in the name of story and its power to transform." — from "Visible Men"
"I think that we have to revisit these events — no matter how painful that process might be — to challenge the entrenched and embedded inequities of our system...We are ultimately responsible for the system that reproduces these injustices." Wilder served as a consultant on a recent Ken Burns documentary, "The Central Park Five," and also appears in the film, providing historical perspective on the shocking events that began on April 19, 1989, in New York's Central Park. Understanding the current U.S. campus protests over racial injustice requires looking back centuries, explains MIT historian Craig Steven Wilder, whose 2013 book, Ebony and Ivy, explores the historical relationship of American universities to the Atlantic slave trade. In this interview, Wilder discuses how that history informs the Black Lives Matter movement. D. Fox Harrell receives $1.35 million in grant funding to advance research at the intersection of social science and digital technology. "Computational systems, Harrell explains — whether in video games, social media, e-commerce accounts, or otherwise — "map elements of ourselves from the real world and our imaginations onto highly structured data." In his work, Harrell explores what is gained, lost, and transformed in that process. Haiti’s past casts a long shadow over its future, according to four MIT scholars (all with strong personal ties to Haiti) who spoke at a Starr Forum held to explore the future of the country. Insights from Michel DeGraff, Professor of Linguistics, Erica James, Associate Professor of Anthropology, Cherie Miot Abbanat, Lecturer in the Department of Urban Studies and Planning, and Dale Joachim, a visiting scientist at the MIT Media Lab. MIT Professor of Linguistics Michel DeGraff recently received a $1 million grant from the National Science Foundation for his linguistics research in Haiti, which includes developing classroom tools to teach science and math in Haitian Creole (Kreyòl) for the first time. "We are helping create a new lexicon and new tools for science in Kreyòl — and a new culture for deep learning in Haiti." MIT Associate Professor of History Malick W. Ghachem is a historian and a lawyer, whose primary areas of concentration are slavery and abolition, criminal law, and constitutional history. He is the author of The Old Regime and the Haitian Revolution (Cambridge University Press, 2012), a history of the law of slavery in Saint-Domingue (Haiti) between 1685 and 1804. "How should we explore the relationship between race and educational opportunity? One approach to the Black-White 'achievement gap' explores how race and class cause disparities in access and opportunity. In this paper I consider how education contributes to the creation of race." Haslanger argues that gender and race are not purely natural categories, they are also "social constructs." "The supposed line between the 'natural' and the 'social' is of crucial importance for theories of justice: the 'natural' is not as fixed as we might think, and the 'social' can be much more fixed than we imagined. Some differences between us must be respected, and others should be overcome — but which are which?" "Most social scientists agree that racial categories are arbitrary labels that we use to carve up human diversity into manageable chunks, and that race will always be much more of a social phenomena than a biological one," said David Jones, a former associate professor in the Program in Science, Technology and Society. "As a medical anthropologist, James traces how illness unfolds in the specific contexts of family, social network, and community, and brings to light 'the human experience of health.' In particular she has focused on the struggles of Haitians in the face of a series of natural disasters, disease outbreaks, and government-sponsored violence." The ICEO mission is to advance a respectful and caring community that embraces diversity and empowers everyone to learn and do their best at MIT.